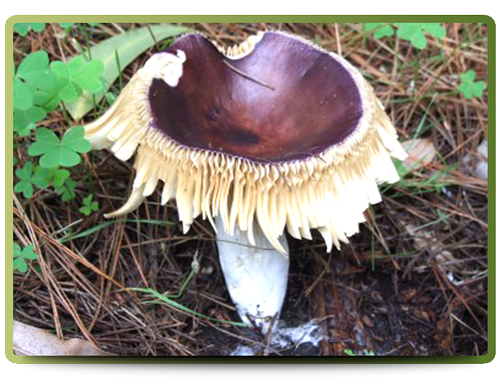 The Cape Russula's colour varies from a pink-purple through to a deep purple-red. Typically common, fairly large, and brightly colored, the Russula is one of the most recognizable genera. Their spore print is white to dark yellow. Gills detach themselves from the stipe and hang down from the edge of the cap. The cap is concave in shape when the mushroom is mature.